TURIN – Fiat CEO Sergio Marchionne's self-confidence has helped him tackle problems that lesser executives would duck, but he may have met his match. In a very public test of Marchionne's faith in his own turnaround strategy, in September Volkswagen Chairman Ferdinand Piech bluntly announced that he wants to buy Alfa Romeo. Piech was suggesting that VW – and only VW — could transform Fiat's perennial money-losing brand into a real moneymaker. Marchionne subsequently declared that he would prefer to keep Alfa Romeo. But several sources with direct knowledge of the matter say that Fiat and VW have been discussing the sale of Alfa for the past four months. Marchionne has not yet decided whether to sell the brand. And it's not just a matter of price. He has asked his staff to prepare a battle plan to evaluate how Fiat would fare without Alfa. His staff's deliberations boil down to this: By selling Alfa Romeo, Fiat would be better positioned to survive the next two years, which promise to be the most difficult stretch of its turnaround. But if Fiat can survive without selling Alfa Romeo – and if it can successfully restructure that premium brand – then Alfa Romeo would play a key role in Fiat's resurgence. 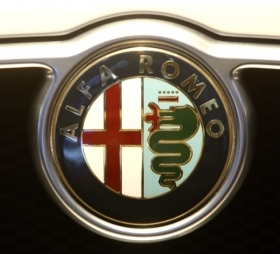 So far, Alfa Romeo has been Marchionne's biggest failure. The brand has not turned a profit in the past six years, and possibly for the past decade. Sales this year will barely surpass 120,000 units, nowhere near its goal of 300,000 units. In April, Marchionne announced a plan to boost Alfa sales to 500,000 units by 2014. But analysts are skeptical. ”Maybe Alfa could get to half a million units a year, but only after the brand is sold to VW,” said Credit Suisse analyst Arndt Ellinghorst in a prophetic remark last June during the Automotive News European Congress in Bilbao. Here are four good reasons why Fiat should sell Alfa Romeo, followed by six good reasons why it shouldn't. • Reintroduce Dodge as a sporty brand in Europe, positioned above the mainstream Fiat brand. A sporty Dodge would not overlap Lancia-Chrysler, which will focus on comfort. • Without Alfa Romeo, Fiat would be hard-pressed to make reasonable volumes and decent profits with mid-sized and large cars. Aside from Ferrari's handful of supercars, Fiat would be forced to eke out a profit from low-margin segments such as minicars and compact cars. Selling or not selling Alfa is a challenging dilemma even for a no-nonsense decision-maker like Marchionne. If he believes Fiat can battle through the next two years, he should probably keep Alfa Romeo. But if he harbors any doubts, perhaps it's time to sell.